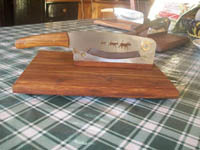 Budget biltong slicer made from Kiaat timber. 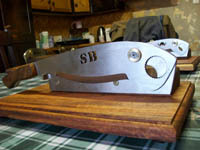 Deluxe biltong slicer made from a 3mm thick stainless steel blade. 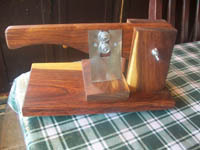 The base is from Kiaat hardwood. 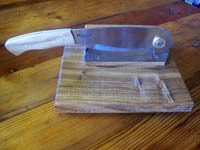 Deluxe biltong cutter made with a 3mm thick stainless steel blade. 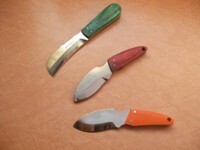 Decorative cut outs are done on the blades with Africa animal themes. Bases are made from local hardwoods. 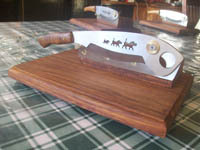 Deluxe biltong cutter made with a 3mm thick stainless steel blade and Nut Cracker Cutout in the blade.